Echoes of Time–Journey with us down memory lane and read about the metamorphosis of an antique store into the top destination costume and vintage clothes store in the Hampton Road area! Echoes of Time started with Evie Myatt going to antique auctions in 1979 and having a small booth in an antique mall in Norfolk when her amazing collection outgrew her garage and home. The booth at the antique mall fit for awhile till her business grew and she moved into an antique store on Laskin Road in Virginia Beach, 20,000 square feet of antique space to have fun filling. The store was massive and had everything from jewelry to antique cookware, rare books to vintage clothes–you could find it at Echoes of Time. It was so large that a couple of times people got locked in over night past closing time. Unfortunately Evie lost the lease on her dream antique store and moved to Norfolk Avenue in 1999 and trimmed her selection down to vintage clothes and costumes. The store had an incredible selection of everything you could want when it came to antiques and more. Unfortunately Evie lost the lease on her dream antique store and moved to Norfolk Avenue in 1999 and trimmed her selection down to vintage clothes and costumes. Cathy joined with her Mom in 1999 in building the most extensive selection of costumes and vintage clothes in the Hampton Roads area and beyond. When they moved to their current location at North Witchduck Road they became know for their custom painted hearse and their incredible selection of costumes and vintage clothing. You can find everything from stage makeup to fake blood, wigs, to fancy corsets, goth costumes to cosplay costumes–they have it all at Echoes of Time. 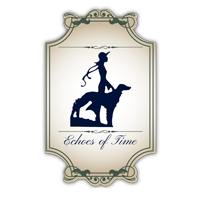 Visit Us at Echoes of Time! Your go-to source for everything Halloween. From classy to scary–we have you covered with a tremendous selection of high quality Halloween costumes at Echoes of Time. Let us help you do Halloween in style; we will help you put together your costume to the very last detail. 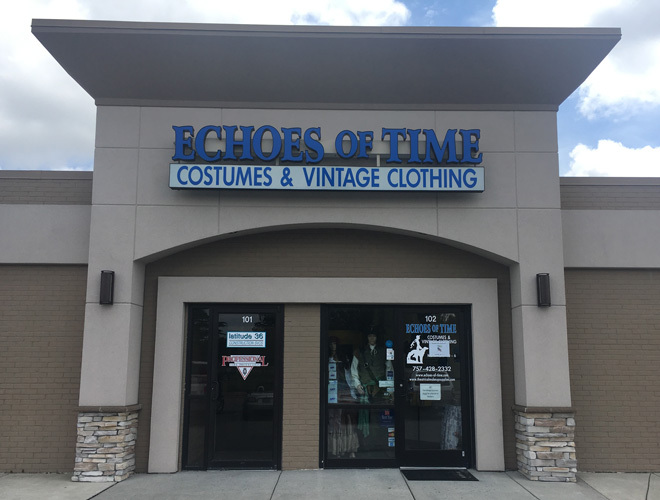 When you are buying vintage clothes in the Hampton Roads area you couldn't hope for a more quality selection than you encounter at Echoes of Time! Choose your vintage wear for weddings, events, parties, Halloween, or New Years and more at our Hampton Roads store. 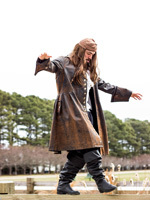 If you are looking for a costume for a Renaissance Faire or a goth costume for a party or Halloween, we have you covered at Echoes of Time. We have excellent quality period costumes that you may rent or buy for your next party or event. We also carry jewelry and accessories to help complete your costume. 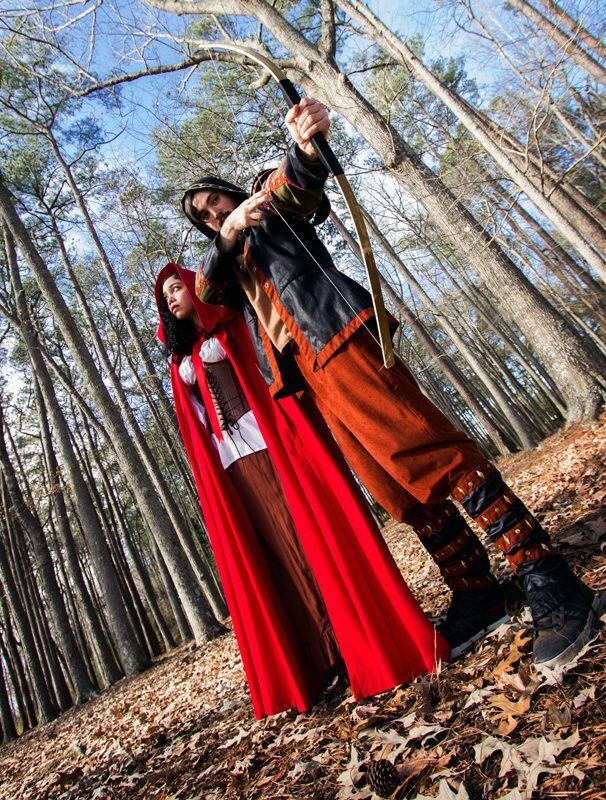 Do you need a great cosplay costume for a Comic Con, Anime Con, or the next Cosplay convention? Echoes of Time is your place in the Hampton Roads area to get your costumes, accessories, mask, and more. We will help to fully outfit you so people are amazed and heads will turn.